Let's make sure we're clear from the start! 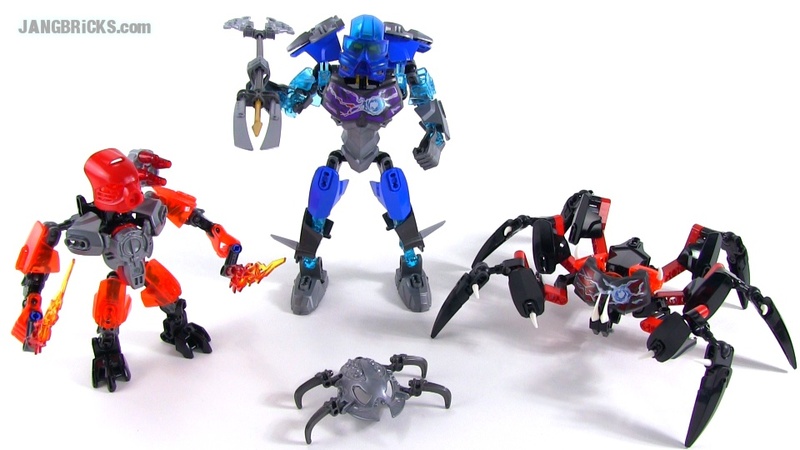 These are not 2015 Bionicle sets. They are not replicas of 2015 Bionicle sets! They are proxies, stand-ins, objects that represent some of them just to start to get a more tangible idea of how they'll stand relative to each other. Update: Here's what appears to be a safe link to some officially released photos. Real, final, official box art pictures of many of the new Bionicle sets have leaked out to the Interwebs and are now in the process of being copied & re-posted by as many blogs, Twitter streams, Deviantart accounts & YouTube channels as possible as everybody tries to grab their share of the views. I'm not going to follow that trend. 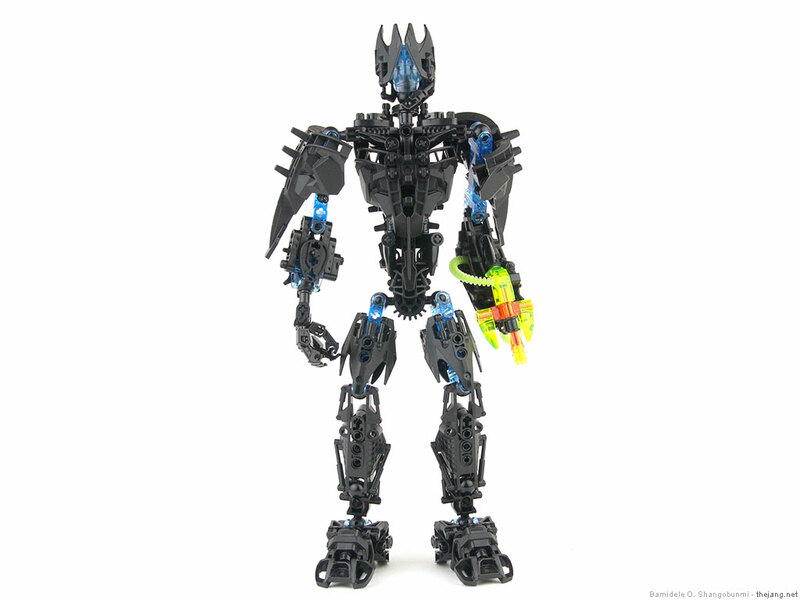 If you want to see the pictures, Google Bionicle 2015. They're all over the place. What I am going to do, though, is follow up on my original thoughts that I posted two months ago when the first fuzzy store display concept photo made the rounds. As expected, the sets are constructed primarily with CCBS ball & socket pieces, a.k.a. "Hero Factory parts." 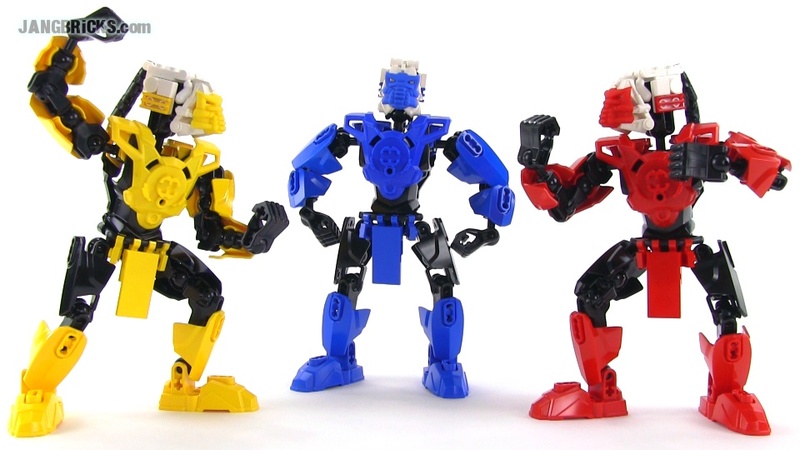 Again, Bionicle sets are now made from Hero Factory parts. Ahhh. Satisfying. What's not so satisfying to me is the range of new parts, or rather, the lack thereof. 12 comments - Post a response! 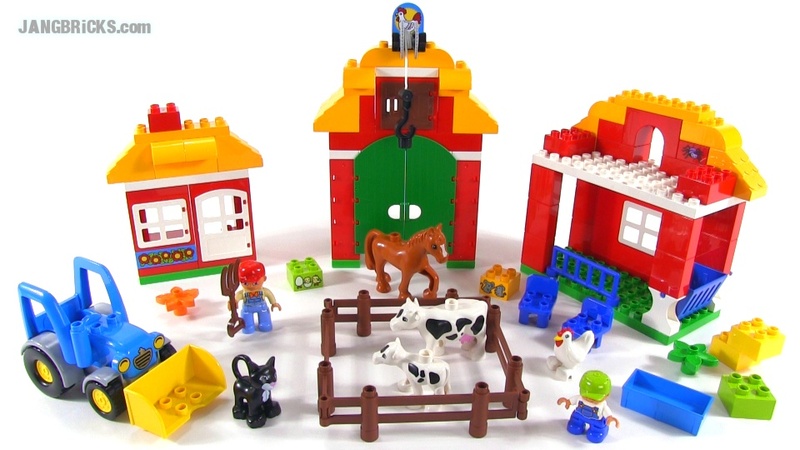 LEGO Duplo 10525 Big Farm set review! 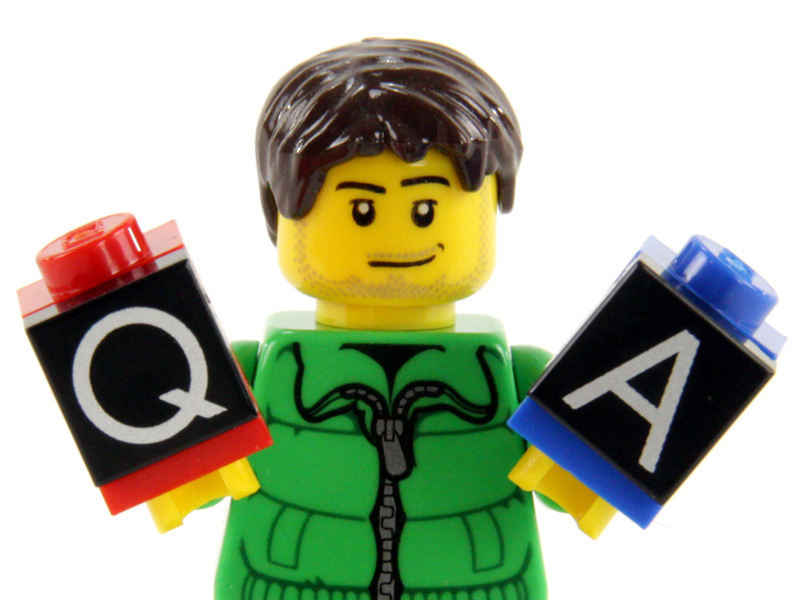 Video: LEGO Duplo 10525 Big Farm set review! Mega Bloks Halo Wireless Attack Mantis review! 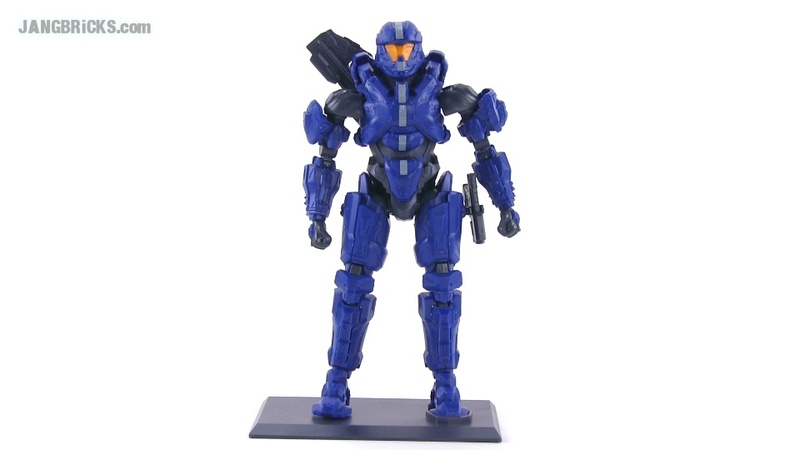 The remote controlled (RC) Halo Mantis has finally started shipping to stores, and I put it through its paces with a video demonstration of all of its features and a look at the exclusive Master Chief variant. 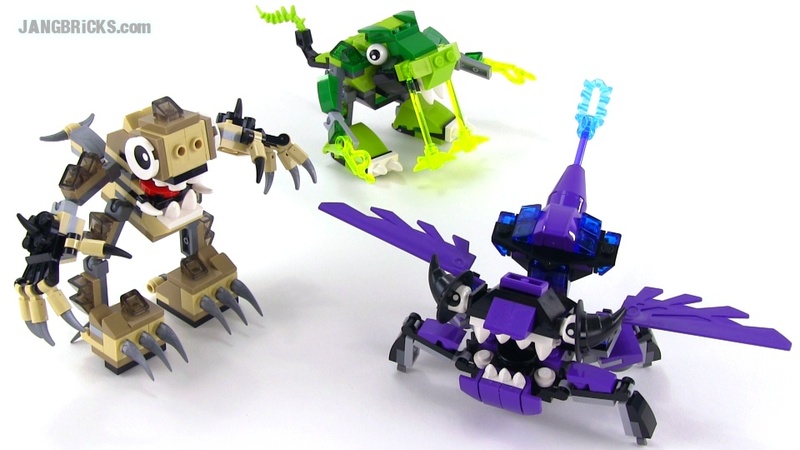 Video: Mega Bloks 97450 Halo Wireless Attack Mantis review! Here's a bit of bundling action for ya! Three (or eight, depending upon how you count 'em) new custom builds to add more detail to my custom LEGO city. Yikes! I've kept videos coming on YouTube, but I've been lagging on posting to the blog! Bad Jang, bad! Sorry about that! I've had a little more than usual going on in the everything-other-than-construction-toys part of my life, plus some of my nighttime free time has been consistently eaten up by the game Destiny (which I'm still thoroughly enjoying no matter how many people make a career out of complaining about it). Things are settling down a bit in general, though, so I should be getting back on point. I'm happy to be finding more time and inspiration to work on MOCs, so there's good stuff in the cards for my custom city for the remainder of the year! In other news, yes, Bionicle is official, I am well aware :) My thoughts haven't really changed, some stuff I expected has simply been confirmed by leaked photos. I'll try to do a small updated writeup on the topic soon. It's a tanker. Yup. Mm-hmm. Big cylinder on wheels. Goes on train tracks. Yessir. That's... that's what it is. Indeed. Yes! I've been wanting to do this for many months, and it ended up taking just one evening from start to finish! It's my first scratch-built freight locomotive, very much not a replica of any real-life engine. There's hope for the population of my railway yet! Eventually I want my entire train yard to be completely filled! Do things from the 1990s really count as "classic?" Well I hope so; at least with the ones from the first half of the decade. 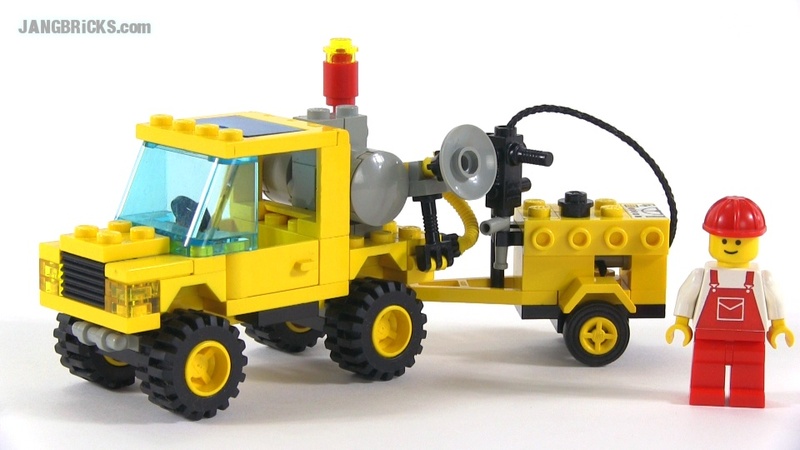 Video: LEGO Classic Town 6667 Pothole Patcher from 1993! This was an unusual project for me, taking on a comic super heroes theme with a scratch-built MOC. 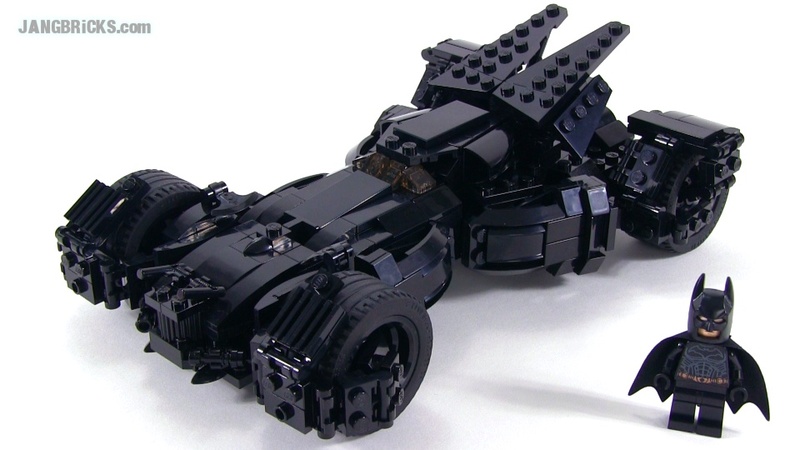 This is inspired by the 2016 (originally 2015, but delayed) Batman vs. Superman movie version of the Batmobile. A couple official pictures of the thing were released earlier in the year, and a sprinkling of low-quality leaked photos have shown up as well. None of the photos I had to work off showed the key body lines or proportions unobscured, so I had to do quite a bit of "filling in the blanks" and approximation to arrive at this model, all the while fighting the limitations of genuine LEGO pieces and "legal" building techniques. Unfortunately, just before I "finished" this, new photos were leaked that show the clear angles I really needed in the first place, and those underscore just how poor of a replica attempt this really is. Oh, well. Mega Bloks Assassin's Creed 94319 Fortress Attack review! More rare luck for me! Stores in my area often get brand new construction sets weeks after the rest of the country, but my wife found this at the local Target! Score one for the Assassin's Creed fans! 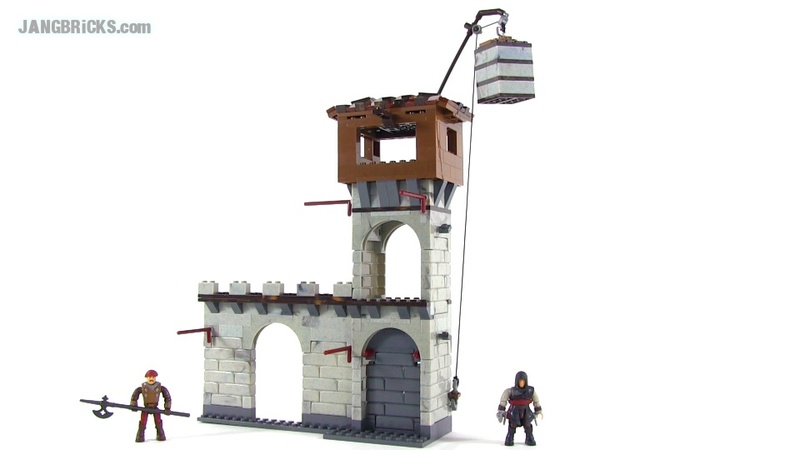 Video: Mega Bloks Assassin's Creed 94319 Fortress Attack review! 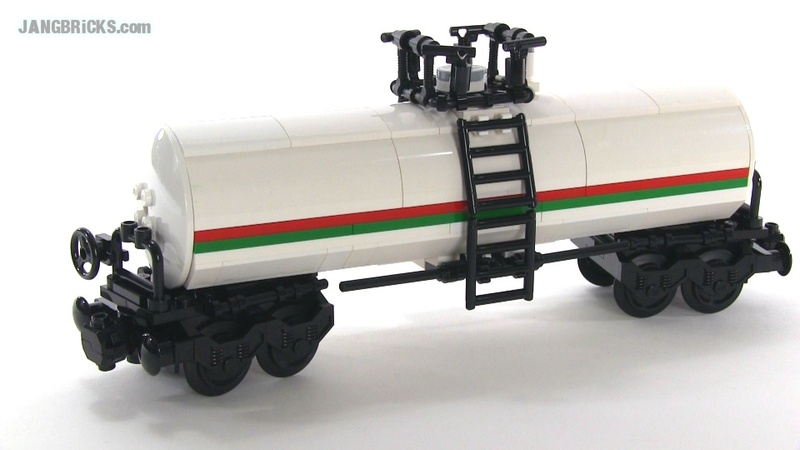 LEGO Creator 10245 Santa's Workshop 2014 set review! If there's one specialized theme LEGO seems to always get right, it's the Winter holidays. 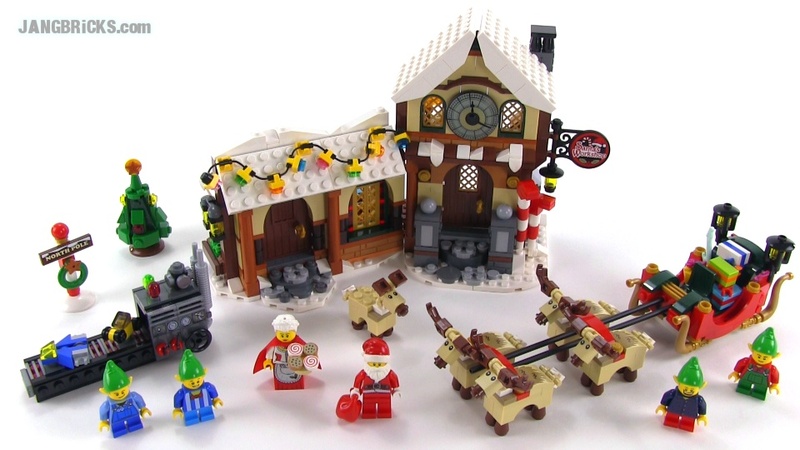 This year's Santa's Workshop is, in my opinion, a marvelous set, especially for the price. Video: LEGO Creator 10245 Santa's Workshop 2014 set review! 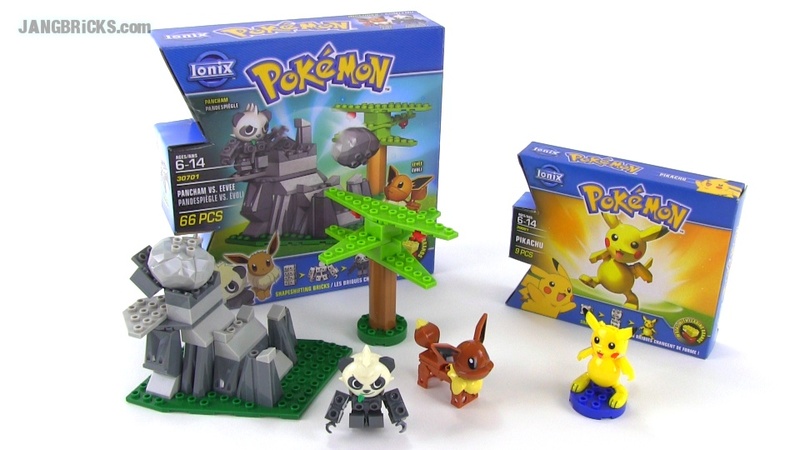 Ionix buildable Pokemon Pikachu & Pancham vs. Eevee sets reviewed! Spinmaster's Ionix brand of brick-based construction toys started out with just their own in-house Tenkai Knights theme, but they've since started branching out to licensed franchises. Their latest foray is into the vastly popular & storied world of Pokemon, so I thought I'd try out a couple of the new sets to see how well they turned out. The verdict? Not so hot. Video: Ionix buildable Pokemon Pikachu & Pancham vs. Eevee sets reviewed! 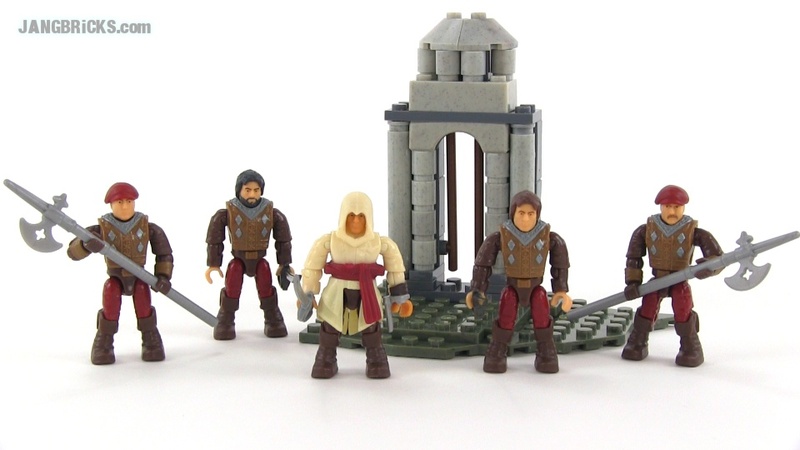 Mega Bloks Assassin's Creed 94306 Borgia Guard pack review! Mega Bloks predicted the Assassin's Creed sets would be hitting stores in September, then they were pushed back to October, but check it out! They started to show up in September after all! Video: Mega Bloks Assassin's Creed 94306 Borgia Guard pack review! 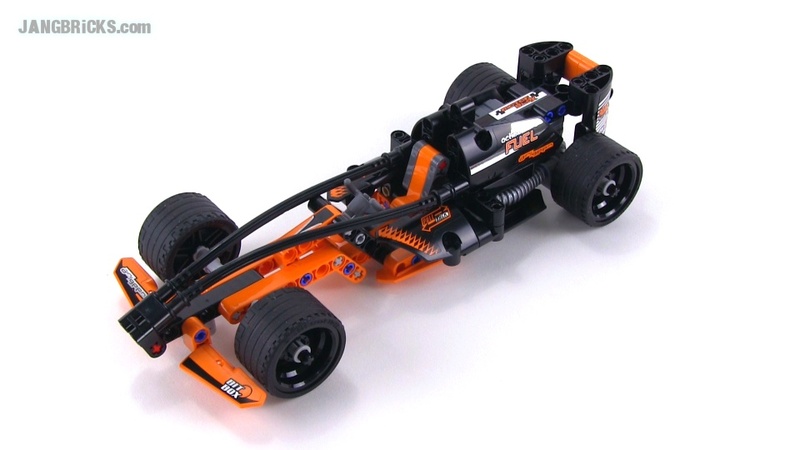 Here's one of the smaller sets from LEGO's Technic lineup from the mid-year 2014 release series. 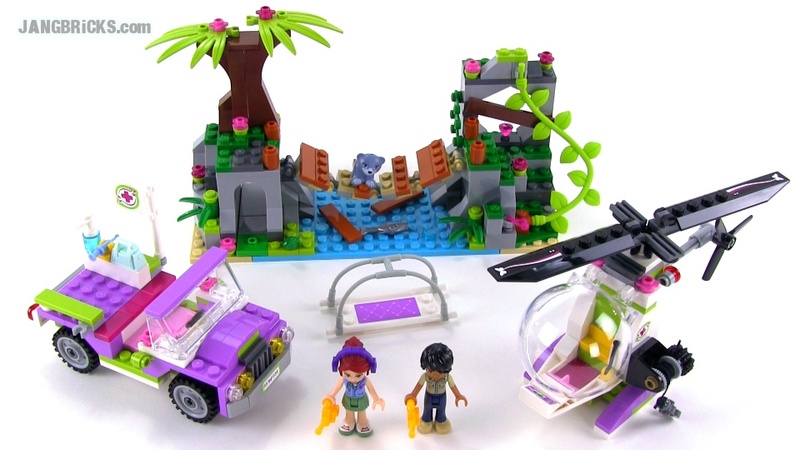 LEGO Friends 41036 Jungle Bridge Rescue set review! Video: LEGO Friends 41036 Jungle Bridge Rescue set review! 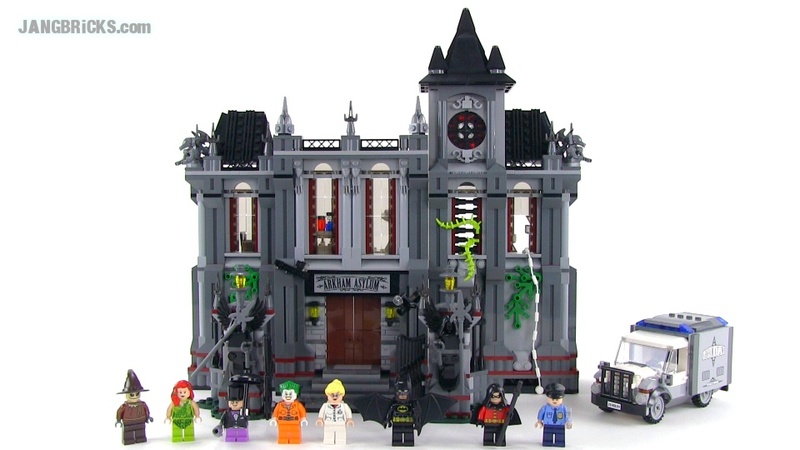 LEGO Batman Arkham Asylum Breakout review! Not a new set here, but one a lot of viewers have asked me to check out! I happily played the Destiny beta for the brief time it was available, but it wasn't until the end of my first day playing the full release that it dawned on me, "I should build that," while looking at my entry-level Arcadia Jumpship on the screen. 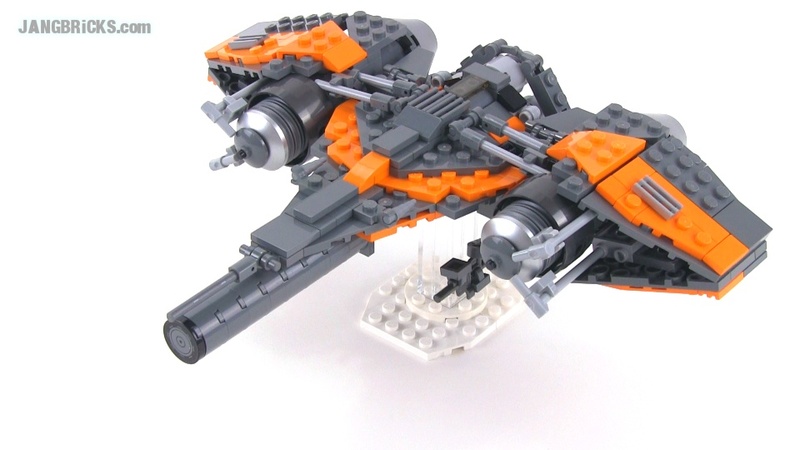 I know it's always difficult to hear this, but I was once again severely handicapped by a lack of parts, but I was determined to get this thing done without hitting up Bricklink. The result is very, very far from perfect, but it makes me happy. 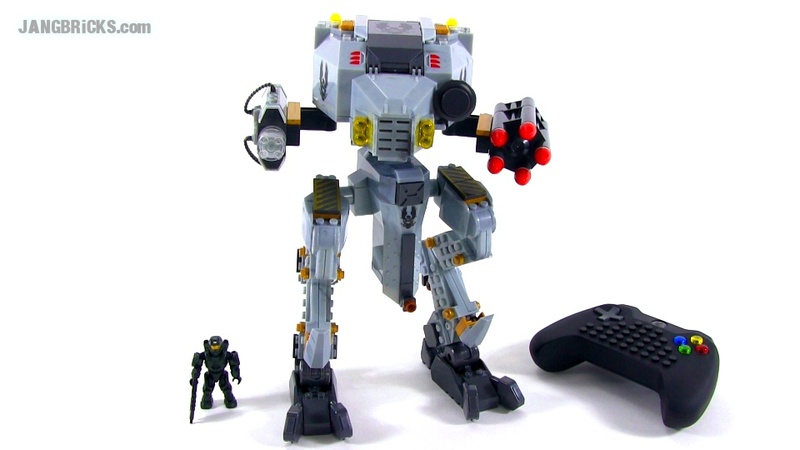 Here's yet another popular game-based franchise Mega Bloks is taking on, introducing still more mini-figure advancements while maintaining compatibility with items from other themes. 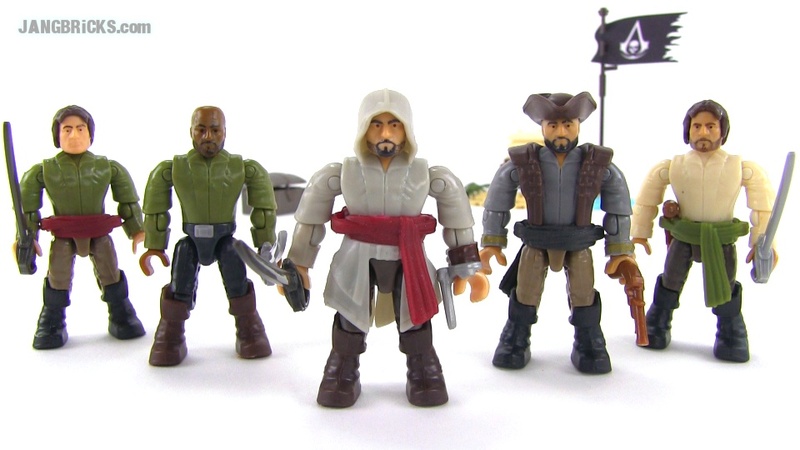 Video: Mega Bloks Assassin's Creed 94305 Pirate Crew Pack reviewed! With the Tenkai Knights series continuing on Cartoon Network, a new extra-large set is now on shelves, and this one impressed me. 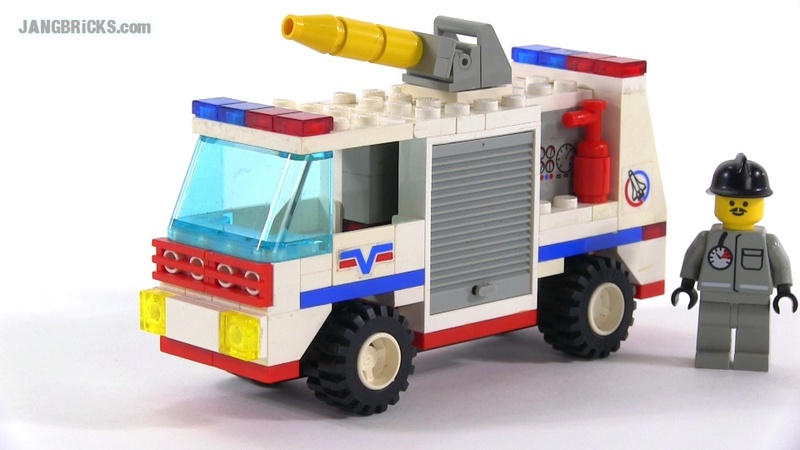 This was a bit of a stretch for me and perhaps a tad bit out of character amongst my primarily brick- & block-based content, but I've reviewed other buildable figures, so why not try one of these? This is more of a display model than action figure, but it has some pretty realistic articulation in spite of its modular, snap together construction. LEGO 2014 Advent calendar videos! Star Wars, City, & Friends! 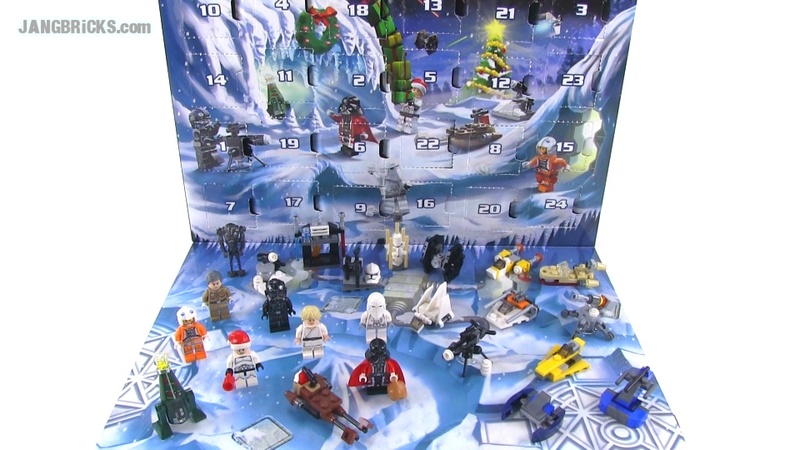 LEGO Star Wars 2014 Advent Calendar opened & reviewed! LEGO City 2014 Advent Calendar opened & reviewed! LEGO Friends 2014 Advent Calendar opened & reviewed! 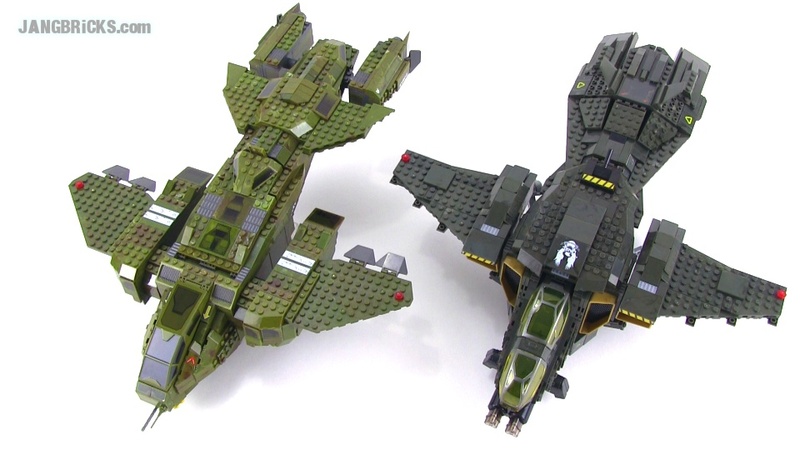 Back when I reviewed the 2013 Pelican Gunship shortly after its release, a bunch of folks asked me to compare it to the original version. 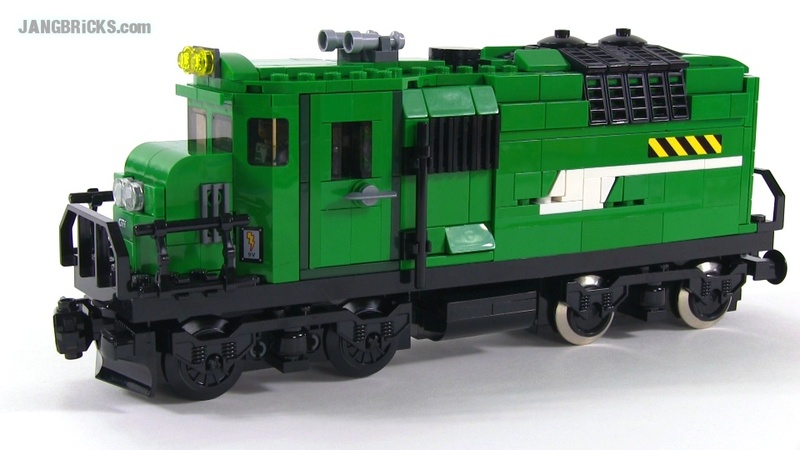 Problem was, I didn't have the old one to compare it to, it was long discontinued, and I didn't have enough confidence in Mega Bloks to commit to buying older sets at marked-up prices. All of that has finally changed, so here I present my review of the oldie, with the long-ago-requested comparison with the ironically now-discontinued 2013 version! It's frequently asked question time again, already! Q: "Do you have any tips for making a new or smaller YouTube channel a success?" My top tips sound simple & obvious, but to me, they really are the most important things. First & foremost, you have to enjoy it, yourself. Don't try to only do what you think the most viewers want at that moment. Make sure you stay true to who you are and what you like to do & share. A lot of people will hear that in your voice and appreciate that you're being genuine. On a related note, be original. More specifically, do something other than a plain white background! When I started using that style in 2009/2010 on my three toy review channels, it was refreshing & extremely rare. Fast forward to today, though, and a huge portion of LEGO-related content on YouTube follows this exact setup, with search results returning groups of nearly identical thumbnails. Even I am tiring of the look. If you want to boringly blend in, do more of the same. If you want to be noticed, do something to stand out. Something other than a plain white background. The secret to true, lasting success is not copying the video style, naming convention, and tag keywords of one of "the big guys." While it's good to learn from other successful producers, if you try to pick who you think is best at it and emulate every last thing they do, you'll end up a copycat and many potential viewers will see right through you. Try to carve out your own space and find a style that's uniquely yours. Now here's something I must tell you that you don't want to hear or believe. When you start out, you will be bad. Really bad. Trust me. When I first started LEGO reviews, I positively sucked at it. I was inexperienced with the material. I was inconsistent in video structure. I rambled. I was boring. Seriously! This isn't being humble at all, this is being brutally honest. Go try to watch my a review of mine from really early in 2013, beginning to end. It's not enjoyable. What changed? Everything did, but it happened very, very slowly. I regularly self-critiqued, and gradually worked to correct things that I did not like. Even to this very moment, I'm continually looking for (and implementing) ways to improve, and that statement holds true no matter when you happen to read this. Don't obsess over subscriber & view counts. Focus on making your work the best it can be, and you will rightfully earn fans & viewership. If you enjoy what you're doing, believe in it, and continuously and intelligently work hard to improve while staying true to yourself and your viewers, you can create success. 20 comments - Post a response! LEGO Mixels Series 3 MAX combinations! Mixels Series 3 Max combinations are go! 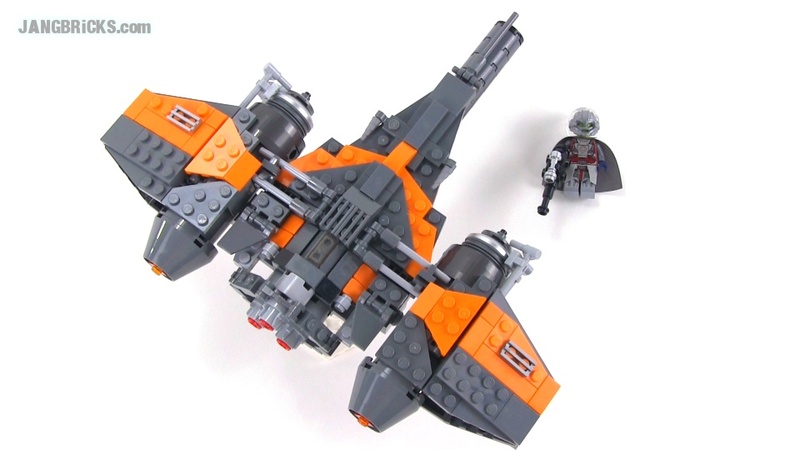 Unlike the past two series, this set of builds were delayed and made from the official building instructions LEGO freely published on their Mixels sub-site awhile back. I have to say, building these from instructions was a very underwhelming, almost disappointing process. The end results are very cool, but in comparison to the challenge and excitement of figuring them out from a small preview picture for each, it just wasn't nearly as fun! Video: LEGO Mixels Series 3 MAX combinations! Spikels, Glorp Corp, Wiztastics! 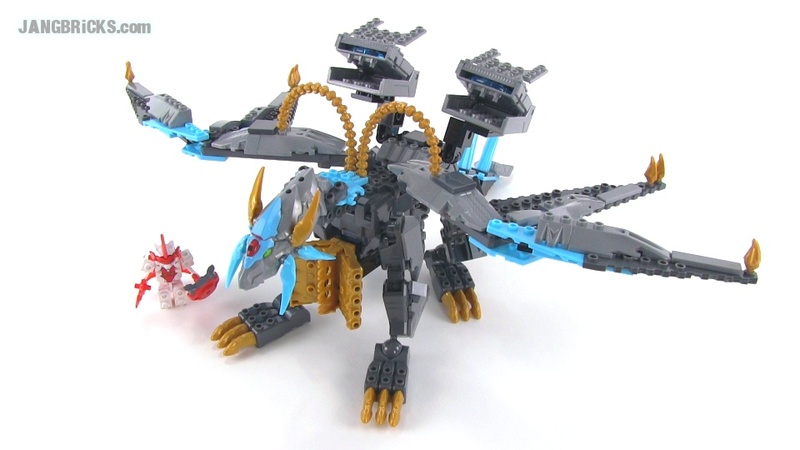 For at least a month now, rumors of LEGO's Bionicle theme returning in 2015 have been gaining significant steam with the help of a series of pictures of a picture, with a list of possible set names thrown in for extra flavor. Read on for all of my thoughts at this time. 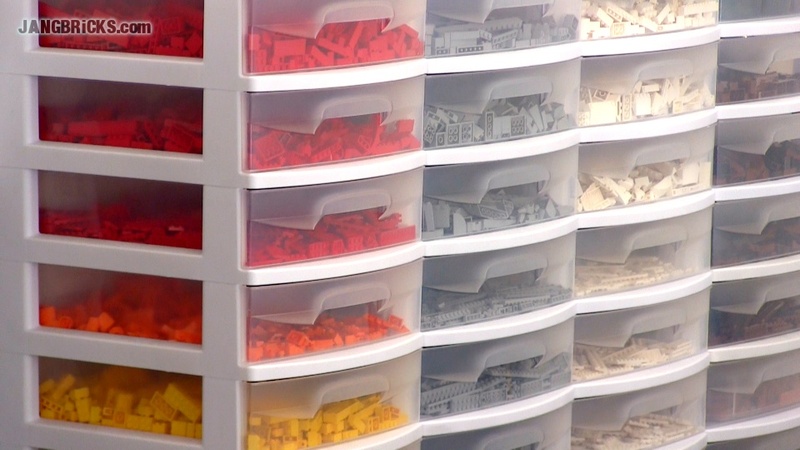 JANGBRiCKS LEGO parts collection tour 2014! 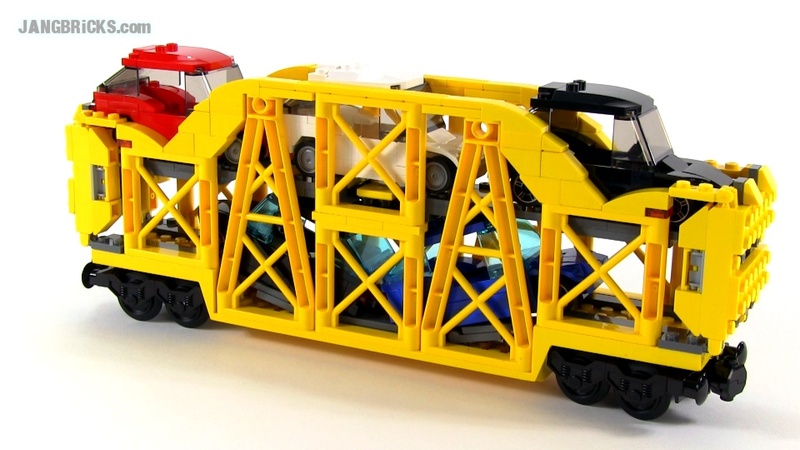 JANGBRiCKS Mega Bloks parts collection tour 2014! My full Mega Bloks Halo minifig collection as of Sep. 1, 2014! Enough time has passed since my last Halo minifigure collection update and I've been receiving requests for a new one for months, so here it is, with now over 460 distinctly different, official Mega Bloks figures on display. 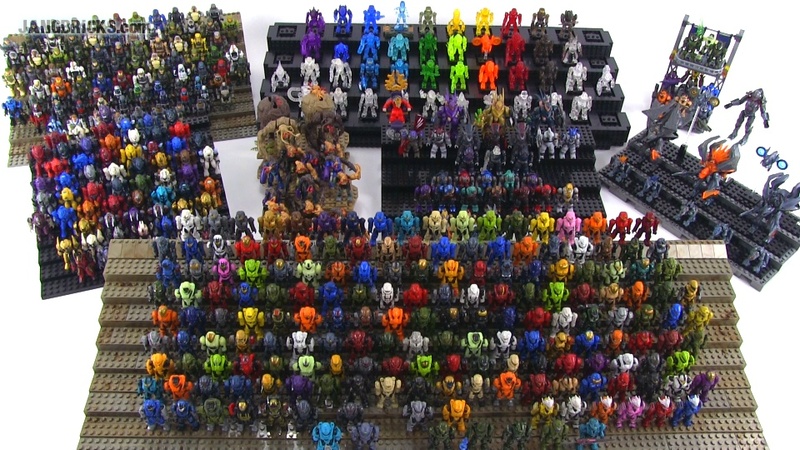 Video: JANGBRiCKS Mega Bloks Halo minifig collection Sep. 1, 2014! My articulated (Broadsword set) Master Chief was absent, posing for his armor lockup photos. During a quick cleanup, Spartan Davis and the yellow articulated Mk. VI Spartan got swapped. There are two 2014 UNSC Marine figures on display that should be considered identical. One has a new leg pouch and the brown colors on the helmets are divergent due to production variance, but these are really supposed to be the same figure, so I've removed one. LEGO Mortal Kombat 3 Cyrax, Smoke, & Sektor action figure MOCs! Now here's something different! It's absolutely bizarre that a vision of these came to my head, and for the life of me I can't recall exactly how or why it all started, but here's the end result! Video: LEGO Mortal Kombat 3 Cyrax, Smoke, & Sektor action figure MOCs! Time for another frequently asked question! Q: "Will you sell, trade, or give me one or all of your sets or figures?" No. Much of what I buy strictly to review is eventually donated to reputable charities. Anything I actually sell is handled very privately. Things I retain are generally disassembled for parts to use in custom creations later on. With the very rarest of exceptions, I do not sell or trade with the public, and I do not make exceptions by request. P.S. : Yes, I really do get requests to give away all of my sets or figures! 36 comments - Post a response!